Had a great time at Chachas. Great staff (Chacha himself as well as younger guys like Biju were extremely hospitable), great location, great atmosphere, great people. Beds are pretty hard but that is the only negative thing I have. My friends and I had a wonderful experience here. Positives: Only short walk to the lake and central market area, but then again, the whole town is very 'centralised'. Owner was very nice and helpful. Negatives: toilets a bit grotty, but hey, that's India. Bed was solid as a rock... and I don't mind a hard bed, but this was something else! Every thing is OK but the cleanliness and facilities in the shared bathrooms. 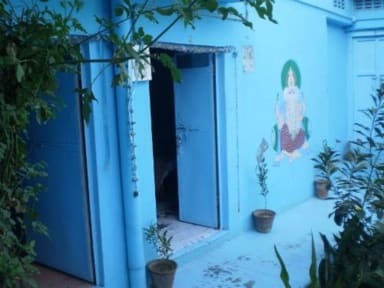 By far the worst place we stayed in India, and that's saying something. Staff couldn't be bothered to do anything besides smoke with their friends in the common area blasting music until 3am. Facilities were filthy and barely functional. Bed was literally a wooden table with a sheet on it. They tried to slyly overcharge us an extra 1000 Rs on our way out. 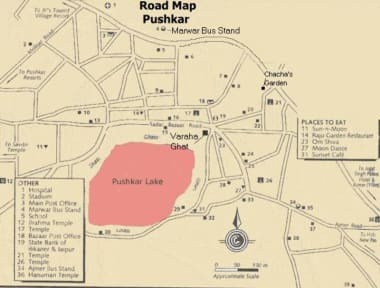 Only positive is that it's close to town, but Pushkar is so tiny that practically everywhere is.